Hello! 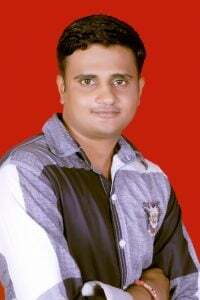 My name is Lokesh Gupta. I am a techy person who loves to be involved with technology and has a need to satisfy business demands. Being a Marwadi – one of the business communities in India – business is in my blood! I always look for an opportunity and try to relate to what the current needs of the market are, the future of that market and the money involved. I am god gifted to sense my parent’s financial responsibilities at an early stage, and so I always looked for an opportunity to be of any help. I took care of my siblings whenever my parents were out earning income. In my college days, I was introduced to the tech world and was amazed by it. I began to learn and understand every bit of it, and how tech can change the world. I supported my education by working odd jobs. I explored tech (especially programming) in different languages. I have a mind set that where your logic is clear, anything can be programmed in today’s world programming languages. Programming Language is not a barrier for me. I consider it to be a tool to develop the application as per the business needs. While learning the tool at first can be a bit of a strain, later it is a joyful experience! In my family, along with my parents and sibling, I have a lovely and caring wife and am blessed with twins. Thank you for taking the time to read my story. I’m looking forward to the opportunity to take on my next work challenge. For a copy of Lokesh’s resume please click here.